When Is Breakup a Better Choice Than Being in That Relationship? Long distance relationships are one of the most hard to maintain relationships in this world full of temptations. For most of the times, long distance relationship is really a challenge and a lot of couples can't survive such a situation. One of the cons of being in a long distance relationship is being away from the one you love. And gradually, couples may fall out of love and if their emotion is not that steady, the relationship will fall apart eventually. 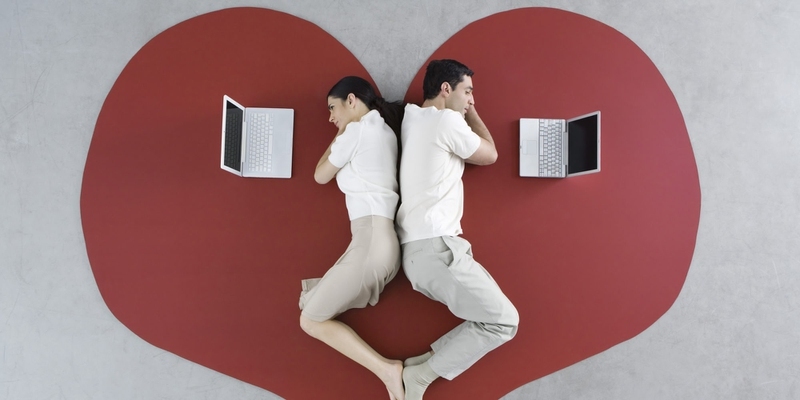 But should you really end a long distance relationship? How do you know if it’s time to end it? Since you have realized that this long distance relationship brings you more pain than happiness, it's time to end it. Long distance or not, a breakup always brings about a lot of pain. You need the following tips to help you survive this. Since you and your ex were from a long distance relationship, the memories you made are more on the internet. Keep away from the internet and stay offline. This will keep you from checking your ex on Skype, Facebook, twitter, Instagram and what not, and don’t pick old wounds by reading old emails when you were still together. One of the best things to do when trying to overcome a long distance breakup is by crying your heart out. Cry as hard as you can, and don’t hold yourself back. This is one way of releasing your bottled up emotions. It is totally normal to cry for the love you lost; just give it some time. When the tears dry up, you will come up stronger and will be able to see things clearly. While having some breakup songs playing in the background, make a list of the qualities you liked about your ex. This process will really put you into tears but it’s okay--it’s part of your grieving process. Then make another list of the things you hate about your ex. This will make you realize what you really want in a relationship so that next time you know what to watch out for. One way to help yourself move on is by rearranging your room and by removing memories of your ex. Not all breakups mean you lost a fight; it is also an opportunity for you to start something new. It is better to suffer a long distance breakup than to be in the wrong relationship. Throw away the things that remind you of your ex. But if you find the gifts too expensive to throw away, it will be better to keep them in a place where you won’t always see them or you can just return them to your ex. When a relationship falls apart, the common problem encountered is the loss of self-esteem. Make sure to always take care of yourself and nourish your body with its basic needs like enough sleep, proper diet and right exercises. Even if you don’t feel like doing this for the moment, just do it and your body will thank you for it. It is best to be with people who truly love you during this hard time of your life. Real friends and your family will tell you things that you really need to hear even if it may hurt you. But they just want you to realize the things that you were blinded from during the relationship. Persons who give more in a relationship are the ones lost when the relationship fails. Another way to survive a long distance breakup is by picking up the broken pieces to make yourself whole again. There’s nothing more exciting than finding yourself again and who knows, you might find something new about yourself. You can pick up old hobbies or foster new ones, go out with old and new friends, visit new places, take up some interesting or useful courses, etc. In every relationship, two people must compromise in order to make the relationship work. For example, you and your partner used to Skype each other every night, then he suddenly becomes busy and your nightly routine suddenly changes. According to experts, when your daily routine suddenly changes for reasons that are not clear to you, chances are your partner is starting to get bored with the relationship or he is seeing someone new. A long distance breakup can be avoided through constant communication. But when you begin to notice that you constantly refuse to go out with your family and friends just to spend more time in Skype with your partner, you might be in an unhealthy relationship. Or if you meet someone who is better for you because you have more things in common, but you just unconsciously tie yourself to your partner, it’s time to re-assess your relationship and put yourself to priority. When your partner starts to talk to you less, he may be trying to distance himself. Aside from trust, communication is one of the most important factors to make a long distance relationship work. There are a lot of means today to communicate with someone who’s far away, and if your partner communicates with you less, especially via video chat, he may not want to see you or he does not want you to see him--probably with someone else on the background. From time to time, couples in a long distance relationship must compromise to visit each other, especially if they haven’t seen each other for some time; this is another way to avoid a long distance breakup. But if the excitement to be with each other physically is gone, this is a sign that the relationship is not working anymore. One of the best feelings in the world is being able to see and talk to the ones you love. But if you feel that talking to your partner in Skype is a chore, or something that you need to do even if it is against your will, it’s time to think if you still want to be in that relationship. Your relationship must make you feel happy, and not something that will give you stress. Server responsed at: 04/21/2019 5:21 a.m.